Henry Brunton is one of the most recognizable names in Canadian golf and is one of the world's leading golf coaches and educators. He is the Royal Canadian Golf Association's National Golf Coach, the creator of the Canadian PGA's Teaching and Coaching Certification program, a CPGA Master Professional and the only Canadian recognized as a GOLF Magazine's Top 100 Teacher and US Kids Golf Top 50 Kids Teacher. 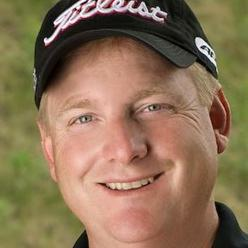 A resident of Stouffville, Ontario, Brunton has been a member of the Canadian PGA since 1984. In 2008, the Canadian PGA honored him with its highest standing – Master Professional. He was also named as the fourth Most Influential Person in Canadian Golf in rankings by Canada's National Post. Brunton has a passion for developing elite junior and amateur golfers. He has been Canada's National Coach since the Royal Canadian Golf Association established its Player Development Program in 1999. Teams led by Brunton won the 2001 Four Nations Cup Championship and the 2003 Americas Cup and have competed for Canada around the globe. Brunton coached the Canadian National Men's Team to a Silver Medal finish at the 2006 World Amateur Championship in South Africa. Brunton has authored the RCGA Achievement Guide, a comprehensive manual for high performance players and coaches. As well, in 1999, he was hired by the Canadian PGA to design and develop a national teacher and coach education program. The result was the highly acclaimed Teaching and Coaching Certification Program (TCCP). The TCCP is a mandatory training program for all CPGA Professionals. In 2009, Brunton's first book The New Competitive Golfer will be published in the United States and Canada. This book will be the ultimate guide for competitive golfers serious about reaching their full potential in the game. Brunton has received considerable professional training from many of the foremost golf educators in the world. A graduate of the University of Ottawa's Physical Education Program, he has studied and participated in select programs in Scotland, Spain, Sweden, the United States and Canada. He is also an accomplished speaker and consultant. In 2008, Brunton was the keynote speaker at the PGA of America Teaching and Coaching Summit. In addition, he has presented at golf conferences throughout Canada as well as in Germany, Puerto Rico, Trinidad and Tobago, and in the United States for various PGA Sections and at the prestigious “Better Golf Through Technology” Conference at MIT in Cambridge, Massachusetts. In 2005, Brunton was recognized as the first – and only – Canadian by GOLF Magazine as one of America's “Top 100 Teachers,” the publication's biennial survey of teaching excellence. In 2009, Brunton was recognized by US Kids Golf as a “Top 50 Kids Teacher” – the first and only Canadian to be so recognized to date. In addition to his work with the Canadian Men's and Junior Boys National Teams, Brunton also leads “Strive for Excellence,” a comprehensive year-round coaching and training program for aspiring high-level junior and collegiate golfers at his home base at Eagles Nest G.C. near Toronto.